Replacement canopy only. Cushion not included. Metal structure not included. 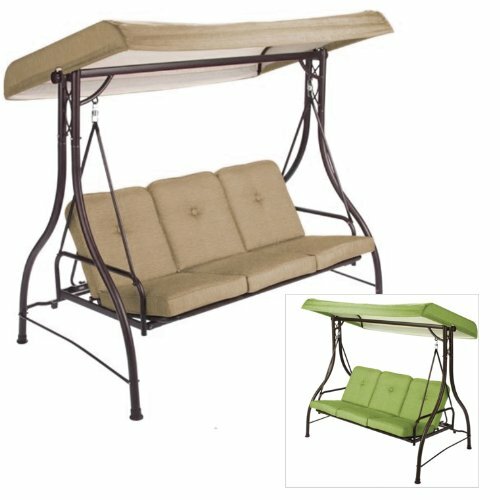 This is a replacement canopy for the Lawson ridge swing. This canopy is made of rip lock fabric. This swing was originally sold by Walmart. Replacement canopy only. Metal structure not included. Color: Beige (may differ from the original). Manufacturers model number: Rus4265-green, rus4265-brown. Retailer/store sku: 15443772. Fabric: UV treated, water resistant, cpai-84 fire retardant.